Anyone know a good program i can get on my phone or computer to allow me to formulate beer and mead recipes? I tried beer smith for mobile and did not like it. a free program would be preferred but I'm not apposed to paying a few bucks for a good one. thanks. The godly tongue distills honey, mankind's tether of amber and gold. 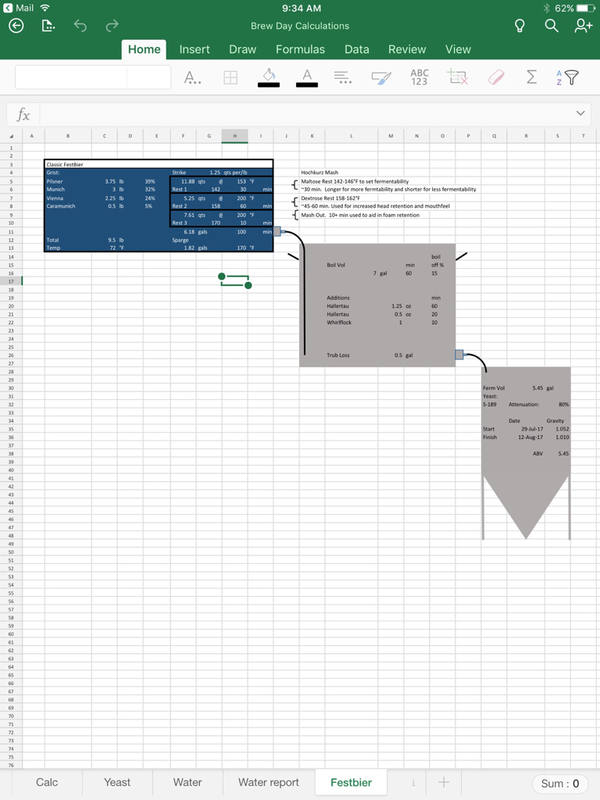 One of the advantages of doing everything beer related in Excel, besides ultimate flexibility, is that the Excel mobile app is phenomenal. Nice sheet! I like being able to tailor everything to what we need. Some of the formatting is off from grabbing the screenshot (the borders aren't thick and bold in the real sheet) but you get the idea. Did you try the BeerSmith desktop app? For me, it paired nicely with their mobile [iOS] app. I still use it for occasional recipe sharing. For the way that I currently brew (typically 3 gallon or less, BIAB or DME, as a hobby, and no plans to "go pro"), I use a combination of Word, Excel, and DropBox. The simplicity of my system is definitely evident when placed next to yours. Awesome. Cheers! Check out BrewR it's a simple brewing app to formulate recipes. It doesn't do anything else, if that's what you are looking for. 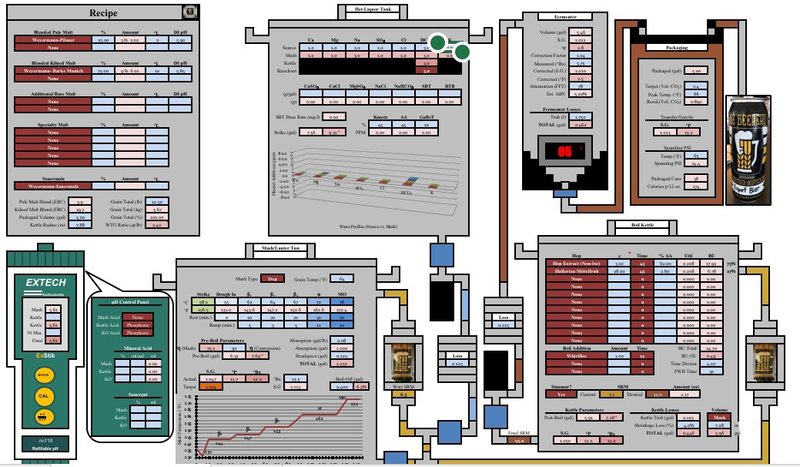 It is just recipe formulation, very handy to play around on when ideas strike. sweet, thanks everyone. ill have to look into Excel (not great at it) and the Brewsmith desktop app and see how i like it. The beersmith mobile app could use some UI love (clunky) but I use it consistently. Like you, I had trouble using it to begin with but I muscled through it b/c it has so many valuable features. Still trying to swing a personal laptop so I can use the desktop version. Have you looked at Keg Ninja? It's 100% web based iirc. I've only toyed around with it but it may be able to accomplish much of what you're looking for. Beersmith desktop is awesome. Beersmith app was a waste of my money. I agree - desktop BS2 is great, but the mobile app has limited capabilities. It's fine for carrying around a number of recipes (e.g., handy at brew club meetings when someone asks for recipe details) and as a convenient reference guide for styles and ingredients. It also has some nice timers, tools and converters (that I honestly don't really use). I do wish it had a way to carry my shopping list for me from the desktop version to my homebrew store - I have to print it out now (how 1980's!). I don't miss not being able to formulate or adjust recipes on the mobile version. I would rarely have any need for that, and I'd much rather do it on a full screen and keyboard over my phone anyway.